NHL 15 was released to the masses yesterday. How does it hold up? Yesterday was a big day for the video gaming demographic of our hockey reading audience. EA Sports next installment in the NHL franchise of games was launched on all platforms and your’s truly picked up a copy (PS3 for those curious – still out of the next generation console loop). This isn’t going to be so much of a review as it is a first impression of various things I see from NHL 15 and my thoughts of the good, the bad, and the oh-so ugly. Let’s start with what many were put off by with the build up to the game’s release. Content. More to the point the lack of content. I heard anywhere from EASHL, Connected GM, Online Shootout, and Winter Classic modes – even the Custom Music option – all being axed from the game. I don’t know if the same applied to the top tier consoles, please fill in down in the comments if you can confirm it, but my PS3 copy of the game has each and every one of those features in the game. Quite frankly, if not for the number 15 and Patrice Bergeron creeping on the left side, everything from the main menu page of the game looks like NHL 14. I don’t really see anything drastically different or missing. When I typically get a sports game such as this the first things that come to mind are (1) what are the new player ratings (2) are there new or updates faces for the players in-game (3) what new gear or equipment is in the game (4) are there new teams or uniforms that were added (5) are the players where they need to be. 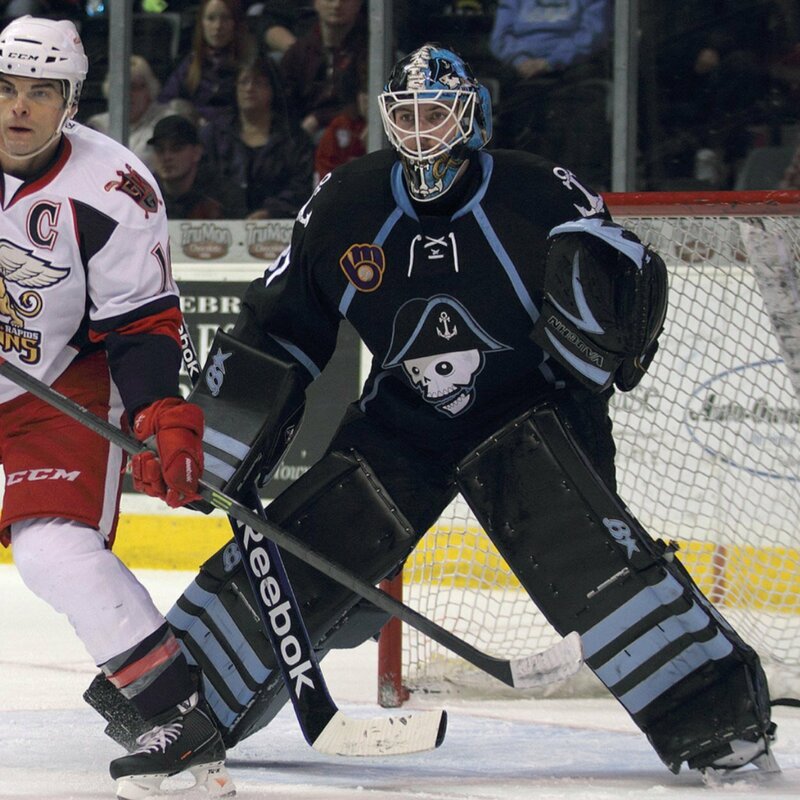 Milwaukee Admirals Player Ratings: Johan Alm (67), Taylor Aronson (63), Viktor Arvidsson (68), Taylor Beck (77), Anthony Bitetto (71), Zach Budish (68), Patrick Cehlin (71), Jonathan-Ismael Diaby (65), Filip Forsberg (77), Felix Girard (63), Triston Grant (72), Magnus Hellberg (77), Brendan Leipsic (73), Mike Liambas (65), Marek Mazanec (73), Jimmy Oligny (62), Joe Piskula (69), Jaynen Rissling (66), Miikka Salomaki (77), Josh Shalla (64), Colton Sissons (76), Scott Valentine (70), Mark Van Guilder (70), and Austin Watson (77). Things worth noting from that. That roster came from the first update. And came after I made substantial changes because players such as Scott Ford, Mathieu Tousignant, Charles-Olivier Roussel, Francis Wathier, Joonas Rask, and even the recently signed by the Hartford Wolf Pack Vinny Saponari… were all still on the Admirals roster. Players such as Alm and Arvidsson had to be brought over from their Swedish team. Multiple players were still on their junior team. And players such as Pontus Aberg don’t even exist despite their team being in the game. It’s all rather bizarre and just plain lazy from EA Sports to not know who is on what roster. There was an updated roster dated to 9/3/14 on launch day. It gave me this laughable amount of incorrect player movement. It’s a headache purely from the basis of how lazy something like that really is. Bryan Rodney is still an Admiral per NHL 15’s 9/3/14 roster. It’s baffling. New faces in the game? It depends on how you take that. On one hand, players such as Liambas and Mazanec have their headshots in the game. There are actually a boat load of new player headshots to spot in NHL 15. Even ye ole Juuso Puustinen has an updated headshot for HIFK. That’s great to see from an appearance perspective. They should have players new headshots and images in the game. But then comes the problem I run into year after year from a game like EA’s NHL series. There aren’t enough players in the game that look like who they are. Shea Weber, Seth Jones, Olli Jokinen, Mike Ribeiro, Derek Roy, Roman Josi, James Neal, Viktor Stalberg, and even Pekka Rinne behind the mask – they have their accurate faces and visual identities captured. Outside of that in the organization there isn’t another player that looks like them. Not one. Look elsewhere around the league and even quality players have generic faces: Oliver Ekman-Larsson, Tuukka Rask, Derek Stepan, Chris Kunitz… how about young players such as Tyson Barrie, Mikael Granlund, Calle Jarnkrok, Olli Maatta, Tomas Hertl, Ondrej Palat, or Mark Scheifele. They are all generic. Would it be all well and good if everyone looked just as ghoulish and plain? Shouldn’t someone such as EA Sports churn out the visual identities to the same standard their FIFA line does yearly? If you want to see what the EA NHL series could be under an EA FIFA mind set could look like – look no further than Eddie Lack in NHL 15. He has everything save for his custom DaveART mask. He has his custom Brian’s goaltending gear. His face and visual representation are spot on. It is so far beyond what most characters look like in this game you can’t help but get more and more annoyed the more you stare at it. Every player under an NHL contract should look that good. Why they don’t could probably just be as simple to explain as to why the rosters aren’t accurate. Laziness. Most uniforms are all there. It was a pleasant surprise to see that the NHL series finally updated the Admirals neck lace color to match what it has been in recent years: black on the white home jersey and white on the black road jersey. 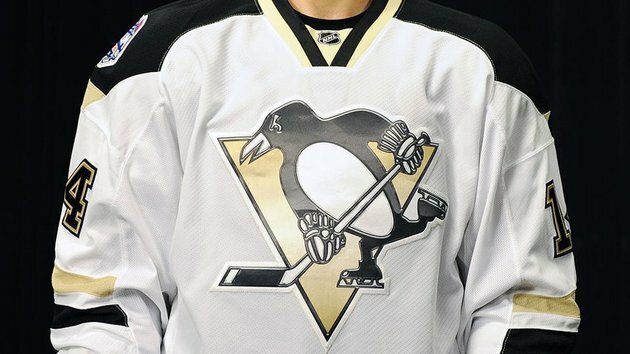 There will of course be added third jerseys from NHL teams once they get unveiled. 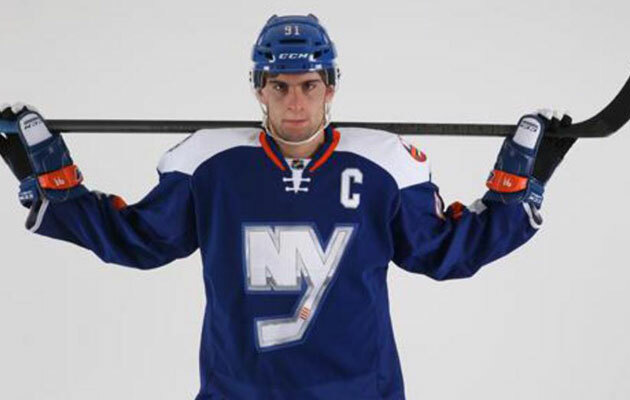 Sidenote: I’ve never quite understood the NHL’s policy of doing things like that – unveiling alternates on ice during the middle of a season instead of before the season starts. Additions to the uniform gallery include plenty of alternates from around the junior hockey ranks. They also added the chrome happy Stadium Series uniforms from last season. For those St. Louis Blues fans breathing a sigh of relief that your team finally has a classy look again… I’m afraid I’ve got some bad news… they’re not in the game (EA Games pun)… at least not yet. The gameplay, as you would hope for, is just as brilliant as it was last year. If anything it is simply better because of the addition of the NBC hockey crew doing the play-by-play commentary. I do wish that Doc Emrick shouted more. He sounds somewhat asleep at times. If they had him shout, “OFF THE POST WITH THE SHOT,” literally every time you hit a post – it wouldn’t get old. There are still some hitches in the game’s giddy up. Replays look like they used the shaky cam technique from Cloverfield. Players without sticks seem to not care that they don’t have a stick and remain on the ice until a complete line change is hailed. The sorts of minor things that should all get hammered out when the game launches that initial patch. Nothing to worrying really. At its core it is the exact same fun EA NHL gameplay that you know and love. That’s my first impressions. For those who are still on the fence about making the purchase hopefully this gives you a better sense of what’s what. It’s a lot like NHL 14 with some tweaks and crisper visuals. Enough to have made me pull the trigger. I’d imagine those of you on Xbox One or PS4 would only be enjoying it that little bit more than myself… that is if the content is there. All very interesting and good to hear. I’ll probably get it in a week or so I’ve been committed to my gm mode season on 13 can’t just pitch it away mid playoffs. I skipped last years with the intent of getting a ps4 but i realized i just don’t play enough to merit dropping money while my ps3 is fine and running. The lack of effort from EA across its titles makes me wish even more that 2k could still make sports games. Their football titles were better game play wise than madden and it would give us a choice. Oh well dm me on twitter sometime and we can swap player id once i get 15.